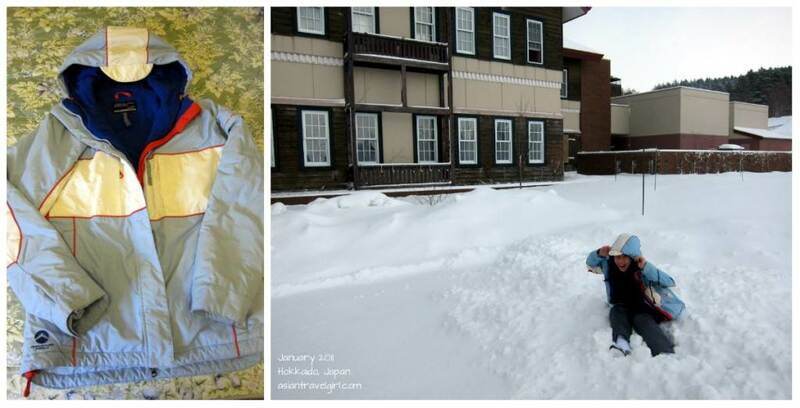 When I went to Hokkaido in January, where it snows almost everyday in winter (average temperature in January is -12 to -4 degree Celsius), I decided to write a blog on how to pack for this crazy cold weather. 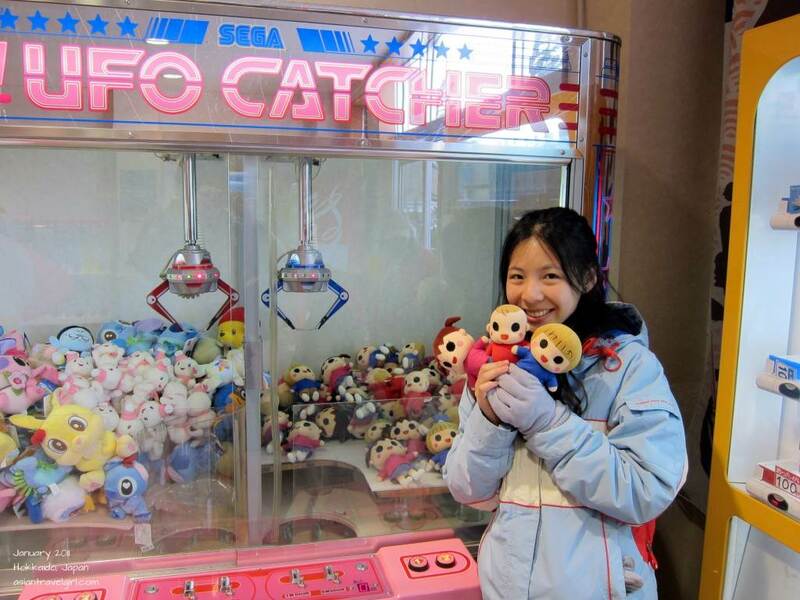 For those you who don’t know, Hokkaido is Japan’s second largest island and is at the northernmost of Japan. Anywhere close to the North Pole is pretty cold in winter, and still people take advantage of this, since winter is a great season for many people that like to walk around in the snow with their coats, or practice sports like snowboarding or skiing with equipment from sites as myproscooter.com and do many other winter activities. 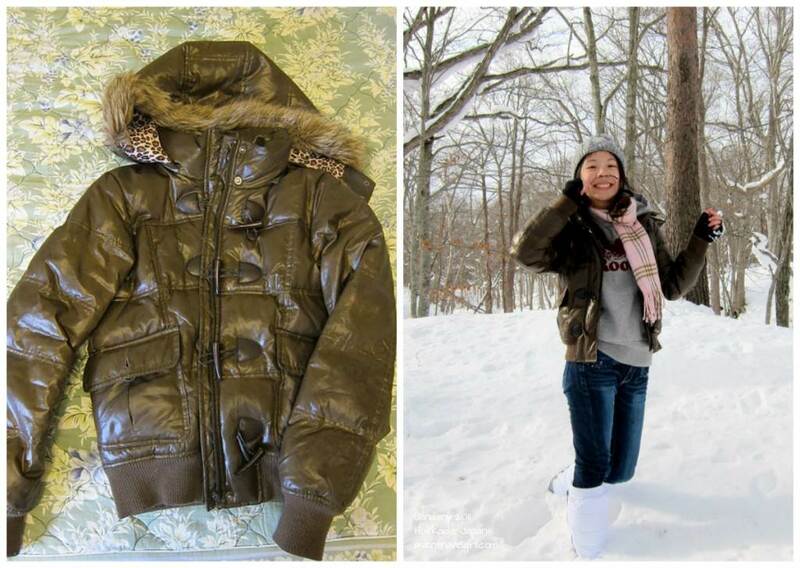 One of the most fundamental thing to consider about when packing for winter is LAYERING! You need to be able to take off your jacket indoors and still able to eat comfortably in a heat-filled restaurant without sweating your pants off. I bought these two identical Kathmandu black thermals during my last year of high school and even after almost a decade, I never travel to cold countries without them. It dries quick, light-weight, warm and breathable. Perfect for the base layer. Black is also a good colour, so even if the neck line is higher than my hoodie, it would still look reasonably ok. 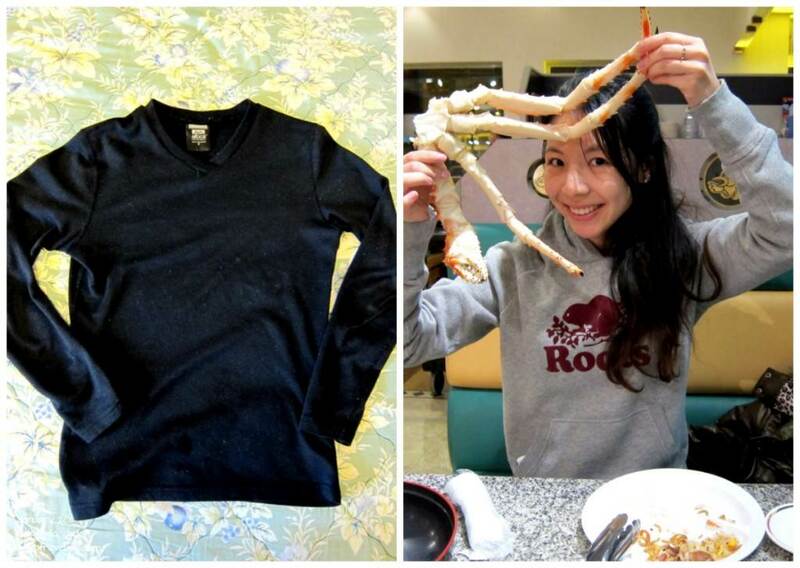 The thermal kept me well ventilated so I could have my king crab buffet in peace! I usually wear a hoodie with my black thermal underneath. 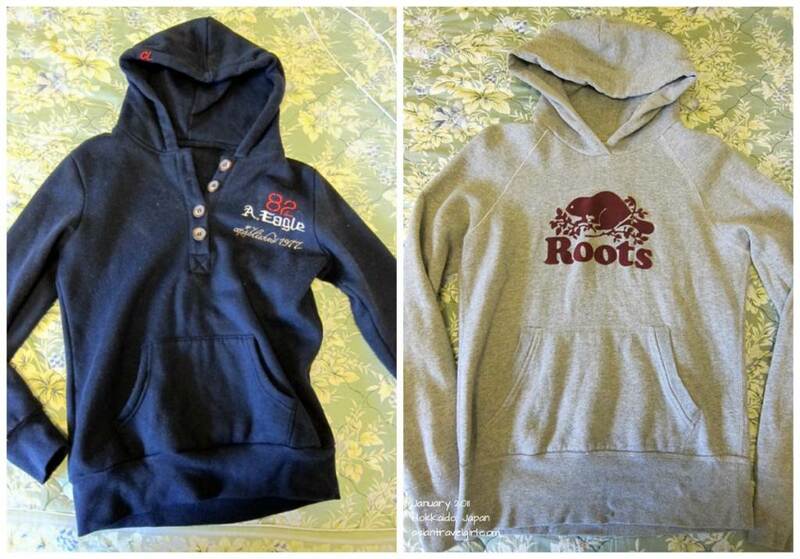 The hoodies has to be fleeced so it will trap the heat between the thermal, creating a nice insulating layer. The heat trapped is just enough to keep you warm but enough to make you sweat. A normal hoodie without fleece just won’t work. I bought this Jacket in Taiwan a few years ago for around AUD$70. Had no idea what level of insulation or the type of feather filling it has. I just put it over my hoodie and never zip it up! Otherwise you risk of looking too puffy in photos! Always pull the hoodie’s hood out and place it together with the jacket’s hood. Or else you will look like you the Hunchback of Notre Dame if you left the hood inside the jacket. Surround your neck with a scarf. Then you will look presentable and casual. On the days when it is extremely cold and you don’t mind looking like a ball. You will need a good wind and waterproof jacket. I reckon Ski jackets are the bests. Since they are reasonable in weight and really blocks everything. However I only worn this jacket once during my trip. Japanese people are too stylish I didn’t want to look like a country tourist visiting a big city. 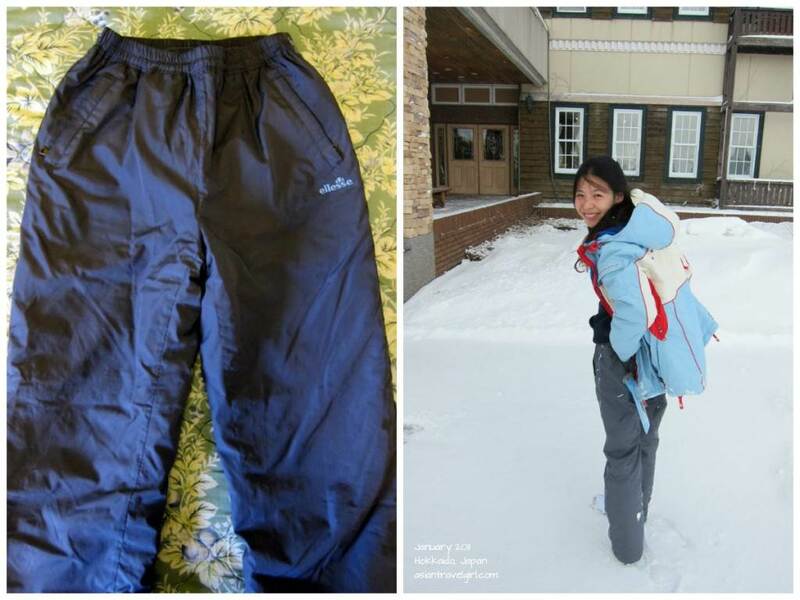 I only worn my pair of ski pants (which are waterproof and windproof) once during the trip as well, since I think they look too casual. These are perfect for the snow since they are light-weight and keep your bum dry at all time. If you are still concern about warmth, try wearing a pair stockings inside, you definitely won’t be cold. Ps. The stockings doesn’t have to be those thick ones. A normal black stocking will do the trick. They are also quite versatile, you will be able to wear a dress or skirt with them. What the whole ski gear set looks like. Probably not very attractive in city settings. 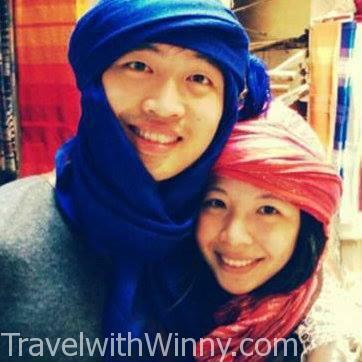 It is crucial to wear something warm over your head! Ideally the beanie should be fleeced as well, none fleeced ones are just not warm enough. Many girls wear ear muffs too, personally I just think they are annoying. All you need is to pull the beanie over your ears then you will be fine. The scarf will be able to protect your neck. I often get a sore throat if I dont do that. If you are really cold, you can always hide your mouth and nose inside the scarf, or you can wear a face mask. Obviously I would go for option number 1. Always have my collection of scarfs, gloves, beanies on. Gloves are very useful in keeping your hands warm. I like gloves that doesn’t cover your finger tips, so you will still have full access to your phones and cameras. I have seen so many people with full cover gloves needing to take one off so they can take photos. I do bring a pair of full cover gloves with me just in case, however I never used them. My half cover gloves are from New Zealand souvenir stores, they are a mixture of possum and Marino. The most amazing gloves ever. I have probably been through 5 pairs of these since I started using these gloves. 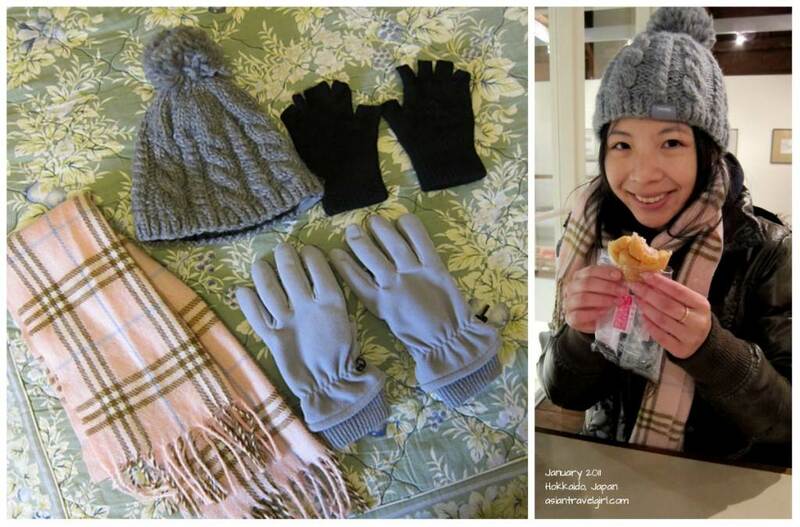 I always keep one in my handbag, even when I was studying in NZ, my friends and I would wear the same type of gloves since they are particularly useful for cold, early lectures. My gloves & these babies I just snatched up are keeping me warm. These things are everywhere! When I first arrived in Japan, I was wearing a pair of leather boots with side zips. My initial plans were to wear a pair of stockings inside my jeans, then slip a pair of woolen socks over my feet, that will definitely keep my feet and legs warm. However I failed to realized that the socks were too thick and made it very uncomfortable for me to walk. 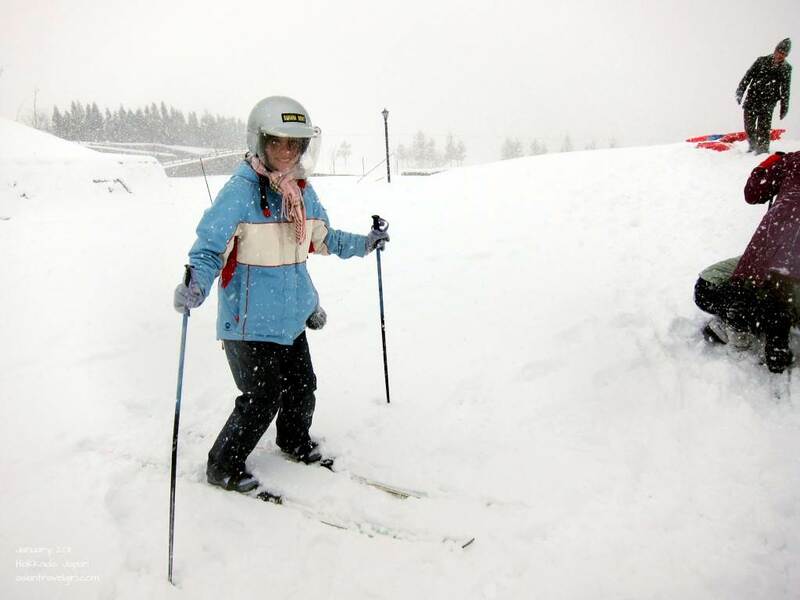 The snow also kept creeping into my boots through the zip lines. Overall I could tell that I couldn’t live 5 days like this in this weather, so one day 1 where we had a chance to go to the Outlet, I bought a pair of snow boots from North Face. OMG! IT WAS THE BEST DECISION OF MY LIFE! My favourite boots of all time! Can no longer purchase them. I want them in black so badly! 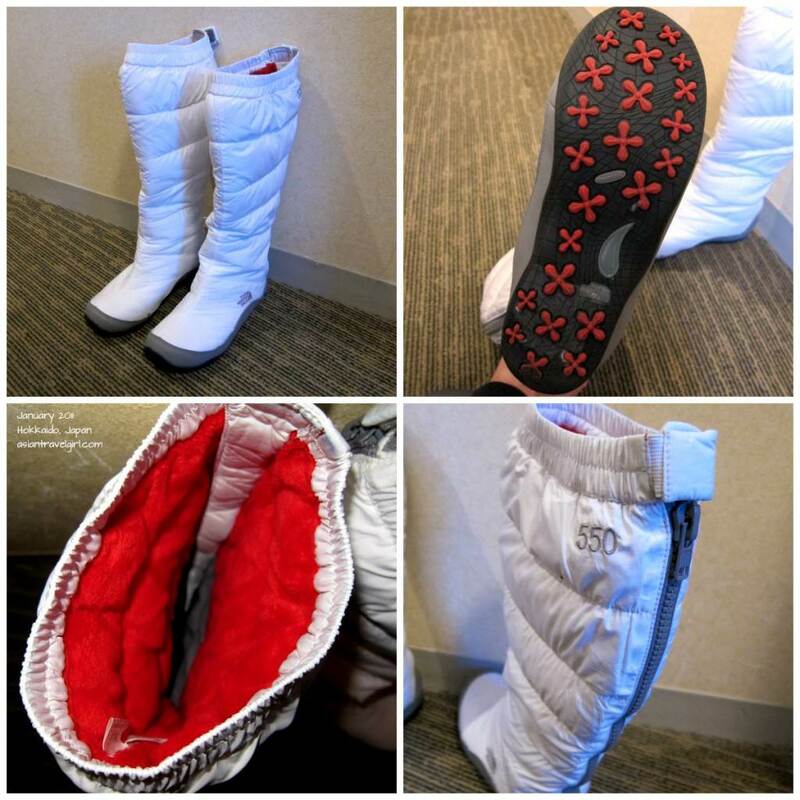 The full name of these boots were North Face Women’s Nuptse Knee High Boot which retailed about USD$169.95. The price of the outlet in Japanese Yen wasn’t that much different. At the time of purchase, white was the only colour, I really wanted a black one. I have been searching everywhere online but couldn’t find one since they have been discontinued since. I had a hard time searching for a black replacement because North Face doesn’t sell their snow boots in Oceania countries. Where are my legs? Lost in snow. 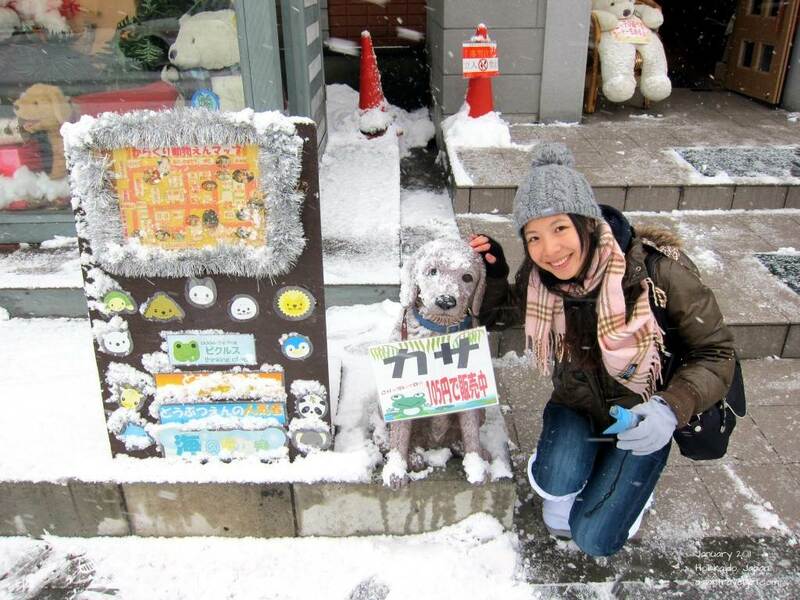 When I posted up my photos in snow, my friends were mocking me. They said my boots were blending into the snow and I looked like I was floating mid air, this girl even thought I broke my leg and had a plaster cast on!! Last month I finally found another North Face black snow boot online, it was on E-bay so they do send it to Australia. They are a lot heavier than the white one I had, I will be testing them out in February 2015 when I go to Tokyo (might not even need it). Just to update everyone that we got engaged right in front of Mt Fuji! York proposed to me during our last trip to Japan with my dream ring! We got engaged in front of Mt Fuji! Almost unreal!!! 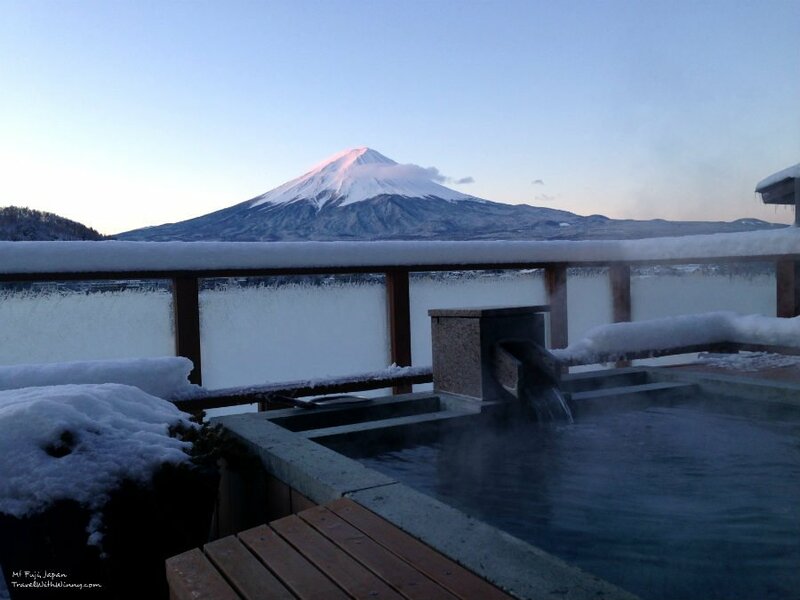 The room he booked for this special occasion was a penthouse suite at Kozantei Ubuya Ryokan. It was so expensive, I don’t think we will ever stay here again, however the view was so worth it! It was truly an unforgettable experience. 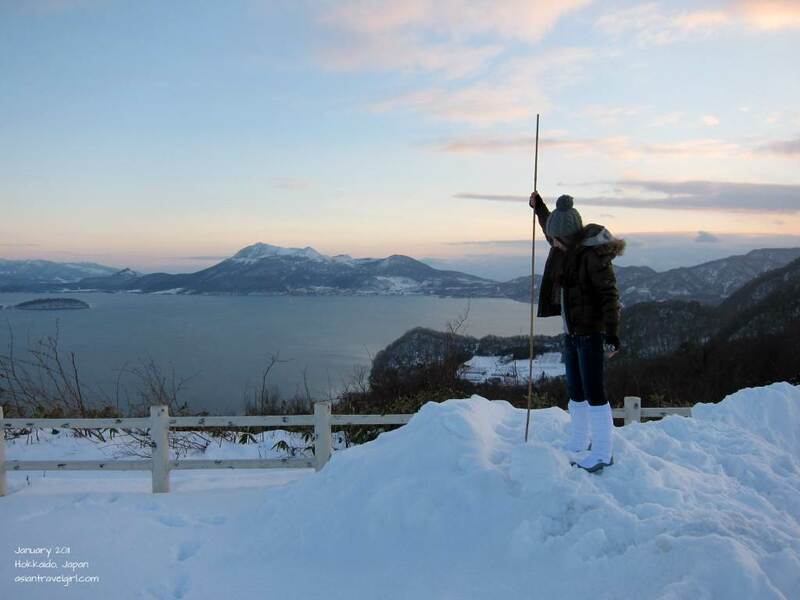 For those who are interested, please read more at The Proposal in front of Mt Fuji @ Lake Kawaguski! I finally knew why Mt Fuji is so sacred to the Japanese people! 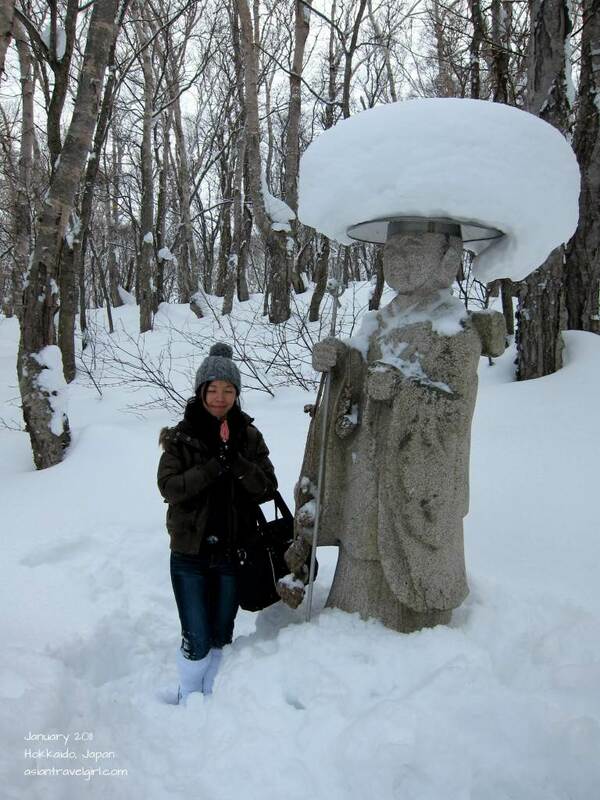 Hello,I log on to your new stuff named “Winter Vacation Pack List @ Hokkaido, Japan – Travel with Winny” on a regular basis.Your humoristic style is witty, keep up the good work! And you can look our website about proxy server list.